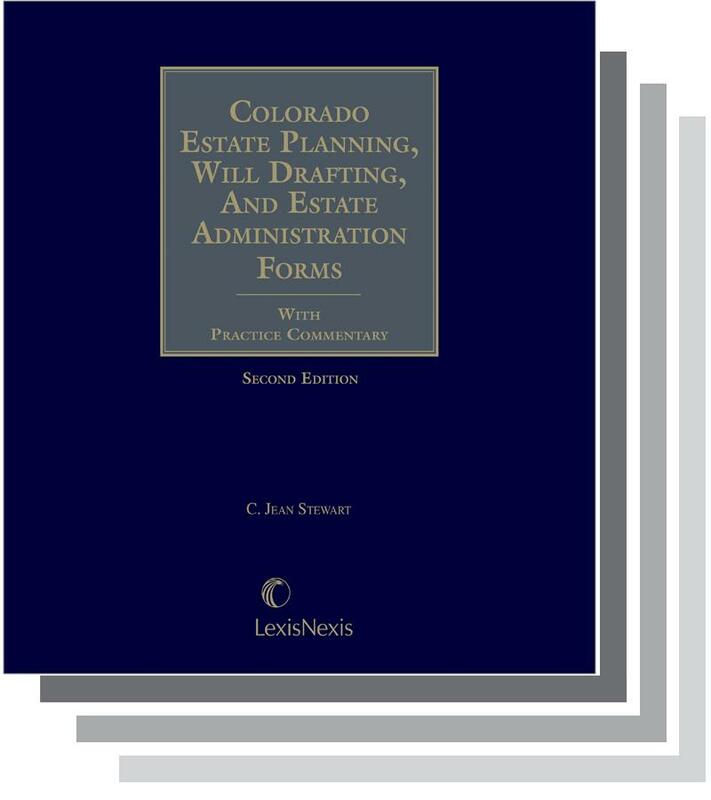 Master your practice of trusts, estates and will drafting with Colorado Estate Planning, Will Drafting and Estate Administration Forms, 2nd Edition. This comprehensive two-volume reference manual deliverers the key elements you need: forms, checklists, expert commentary and supporting analysis. 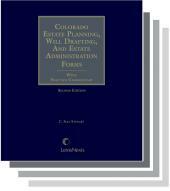 Colorado Estate Planning, Will Drafting and Estate Administration Forms features an overview of estate taxes, a primer on pre-probate planning, model probate forms and chapters devoted to income-shifting devices, estate freezing techniques, planning for incapacity, and more. 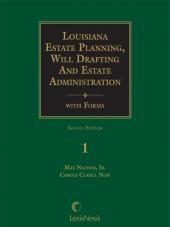 A comprehensive set of forms lets you draft documents that outline the disposition of your clients' assets. Included with the sample forms are numerous alternative language options to help you easily customize documents that reflect individual and highly personal distribution schemes. C. Jean Stewart is retired as Denver Probate Judge and is now with the law firm of Holland & Hart LLP in Denver, Colorado. She is a 1974 graduate of the University of Denver College of Law, where she served as Editor-in-Chief of the Denver Law Journal and was elected to the Order of St. Ives.Judge Stewart's professional and community activities include service as Chairman of the Probate and Trust Law Section of the Colorado Bar Association (1986-87); Secretary (1980-81) and President (1995-96) of the Denver Estate Planning Council; a member of the Section of Family Law and the Section of Real Property, Probate, and Trust Law of the American Bar Association; a Trustee of the Denver Bar Association; Vice-President of the Colorado Bar Association; Vice-President of the Colorado Bar Association; and a Fellow of the American College of Trust and Estate Counsel. Jennifer R. Bailey is a shareholder at Robinson Bailey PC. 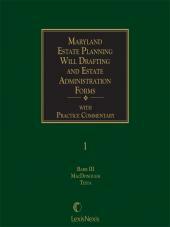 She has over 18 years of experience practicing in the areas of estate planning, probate administration, trust administration, probate litigation, and guardianships and conservatorships. Ms. Bailey received her J.D. from Washington and Lee University and her undergraduate degree from Michigan State University. 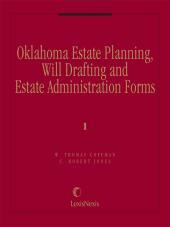 Chapter 15 Powers of Attorney and "Living Will"